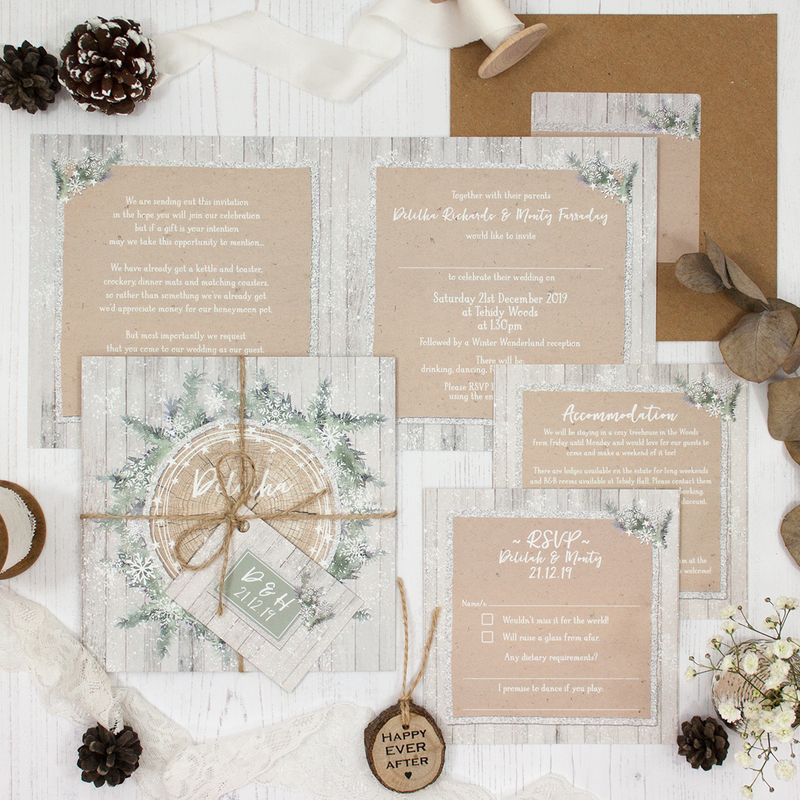 Wedding invitation sample pack including an RSVP, info card, string and tag, envelope and label in the Winter Wonderland Collection design. 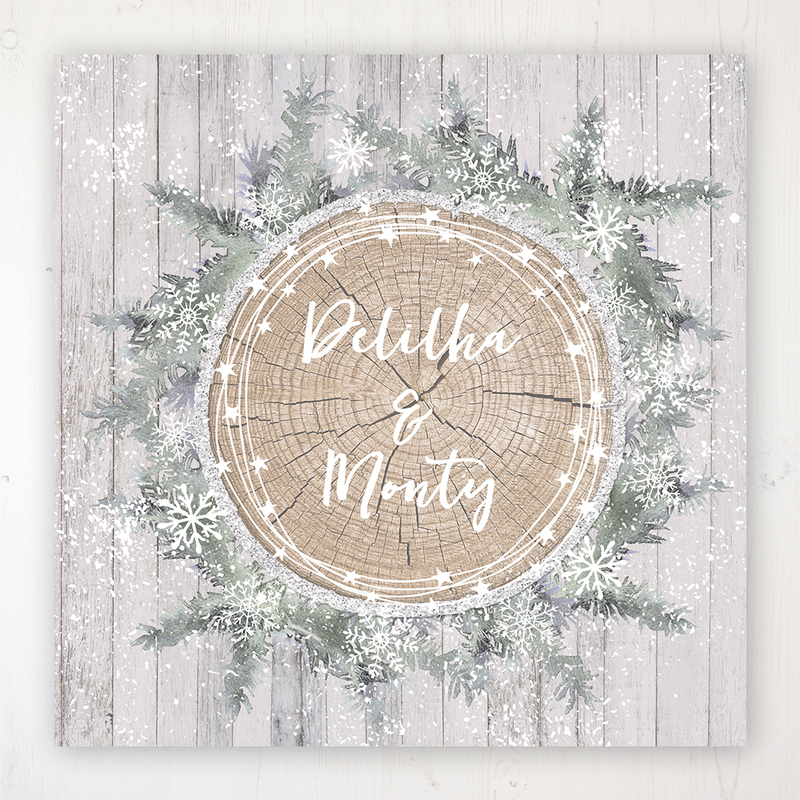 Inspired by the magic of winter with outdoor elements of logs, pine needles, a sprinkling of snow, with delicate flakes and a touch of sparkle. This collection is just perfect if you are having a winter wedding and want to create a Nordic style tone for your day.